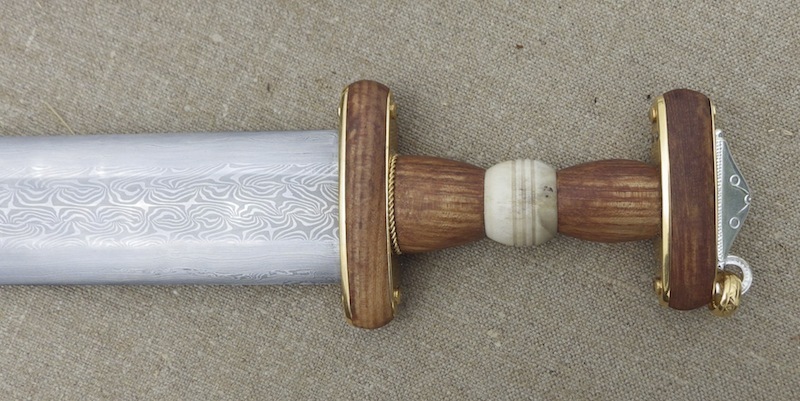 Here is a recent commission closely based on the Dover Ring Hilt Sword in the British Museum. This sword was recovered from a cemetery just outside Dover in the late 1800's and is of the style where the ring is separate from the mounting ring and is dated to 7thC. The blade has a layered edge with a 3 core twisted centre billet and is made by Owen Bush. 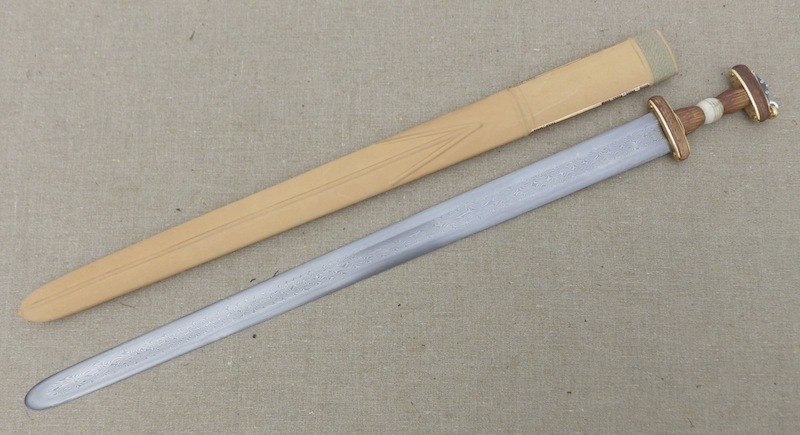 The hilt is made from 27 pieces. 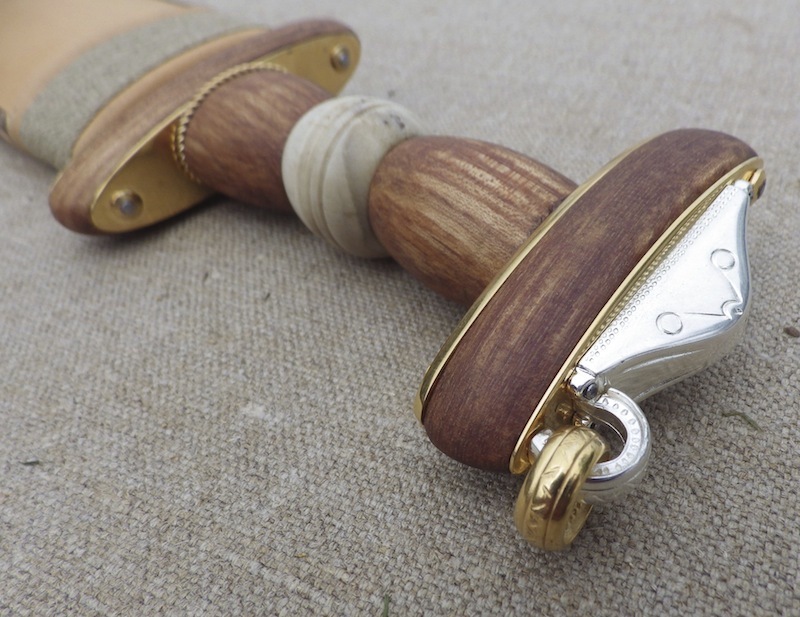 The wood is linseed oil soaked elm, and has an antler crown central spacer and a gold plated bronze wire detail. 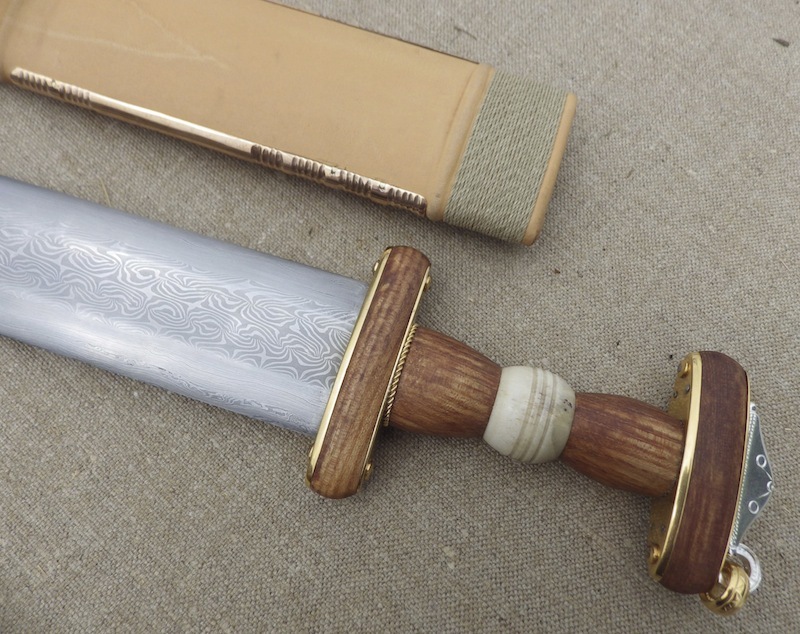 The remainder of the hilt metalwork is either gold or silver plated bronze. 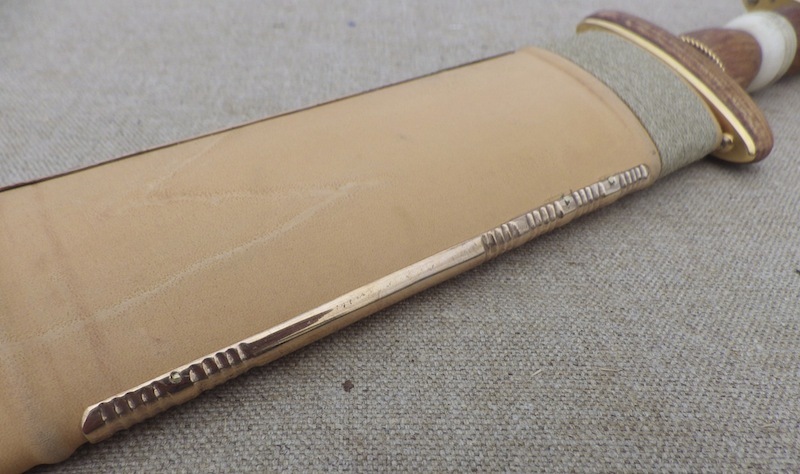 The scabbard is poplar with a felt lining and is covered in calf leather. 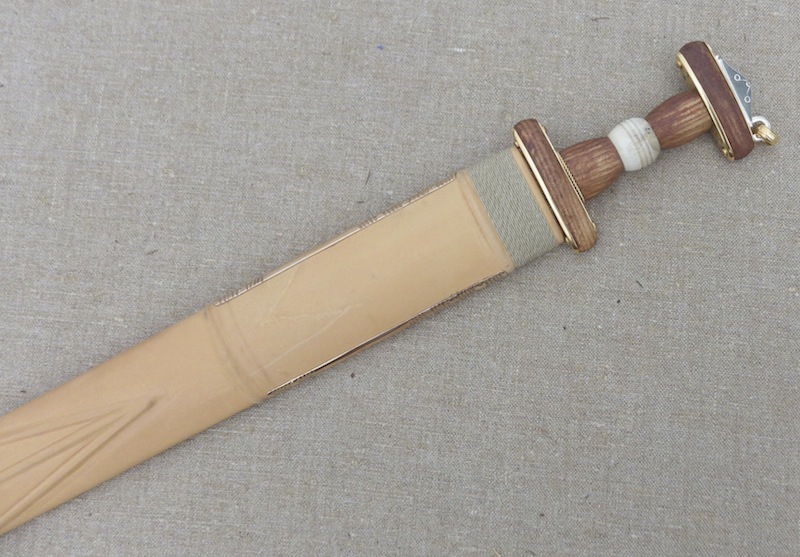 There is some simple cord work under the leather, creating a Tiwaz rune and bronze channel detail toward the top of the scabbard as per the original. 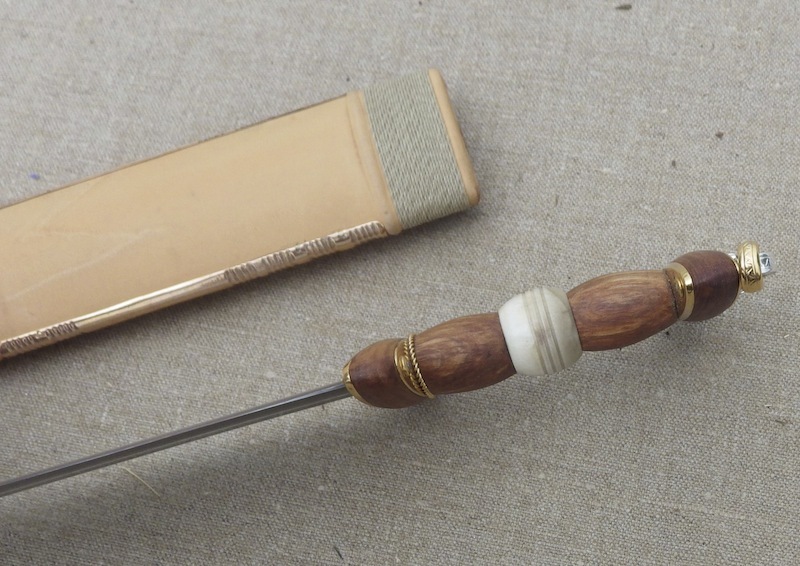 The throat is reinforced with a simple hemp cord binding. There is no chape. 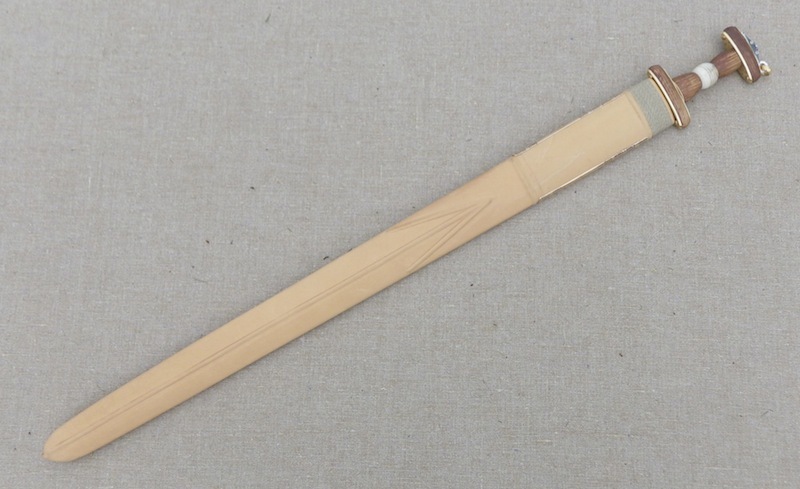 I had a good discussion with Matt Bunker (many thanks for that) about the purpose of the channels and he feels it is to provide strength to the scabbard over the area where the suspension strap would be fitted, and so help to prevent crushing or distortion. I will post up some stats in the next day or two. I think it is terrific. I love migration-era and ring-hilted swords, and all the collaborations you and Owen Bush do together that I've seen are great. Lucky owner. Oh, my goodness! That is just superb! Great job to everyone involved! Truly, a sword fit for a warlord! I'm sure that Bear-basher Cowan will love it. Thanks for the response - always appreciated. Time to wrap up and ship off. Great work Tod. It is always a pleasure to see the fruits of your labours.